Nam June Paik, ‘One Candle’, 1989. Image courtesy of León Gallery International. León Gallery International is holding the first dedicated exhibition of works by visionary Korean artist Nam June Paik (1932-2006) in the Philippines from 22 October to 30 November 2018. ‘Nam June Paik in Manila’ is presented in collaboration with Gagosian Gallery, which has represented the artist’s estate since 2015. It showcases 24 works made by Paik — widely regarded as a pioneer in video art — between 1983 to 2005. Highlights include ‘TV Buddha’ (1976), which shows a statue of a sitting Buddha looking at his own image on closed-circuit TV, ‘One Candle’ (1989), a burning candle placed within a TV casing that is filmed by a video camera then projected onto the walls, and ‘Bakelite Robot’ (2002), a human-like figure fashioned from vintage Bakelite radios. 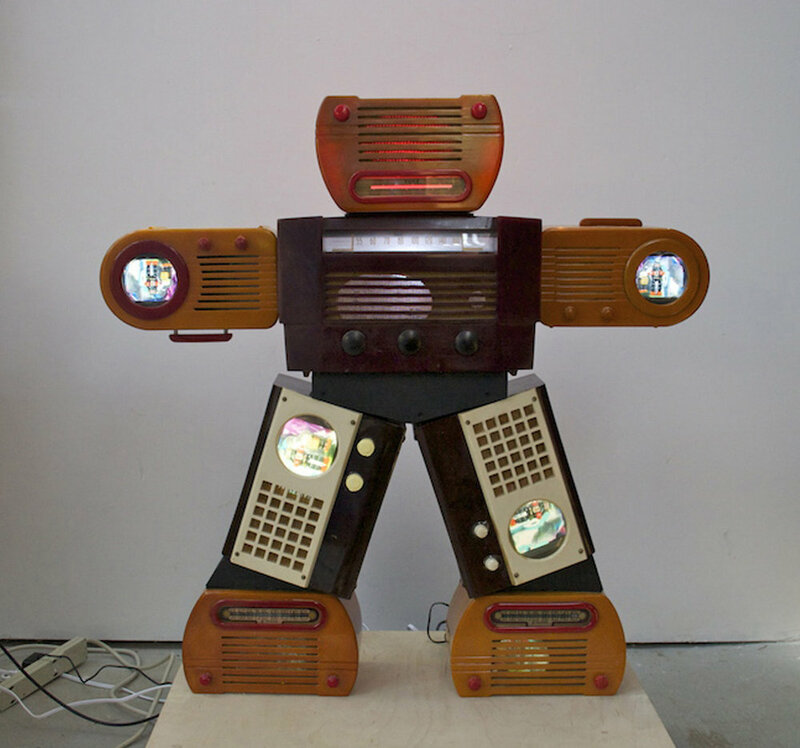 Nam June Paik, ‘Bakelite Robot’, 2002, one-channel video installation with 4 14.2cm LCD monitors, 2 10.2cm LCD colour monitors, coloured electric lights, 92 x 92 x 19.7cm. Image courtesy of Gagosian Gallery. Next year, a major retrospective is planned for the artist at the Tate Modern with San Francisco Museum. Titled ‘Nam June Paik: The Future is Now’, it is slated to open in October 2019.